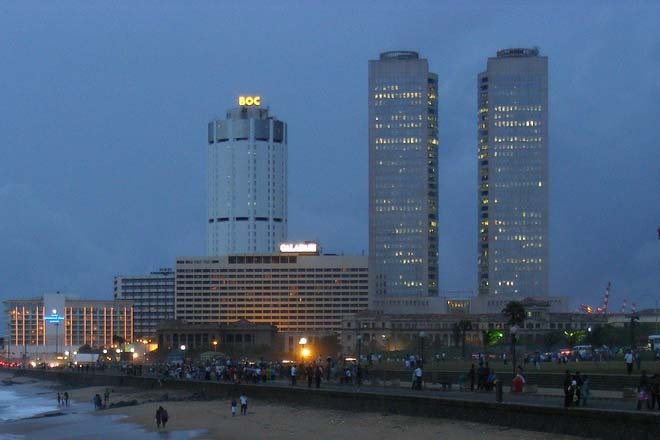 Dec 15, 2016 – Sri Lanka has been named as one of the countries that have the highest vulnerability to the direct and indirect effects of sustained capital outflows, according to a new report of Moody’s Investors Service. “Overall, vulnerability to the direct and indirect effects of sustained capital outflows is highest for Mongolia, Sri Lanka, Malaysia (A3 stable), Hong Kong (Aa1 negative), Singapore (Aaa stable) and Taiwan (Aa3 stable), although the latter three have fiscal space to buffer negative shocks,” the report said. Moody’s Investors Service says that financial asset prices in Asia Pacific (APAC) have fallen markedly since the US (Aaa stable) presidential election in November 2016, with APAC currencies depreciating against the US dollar, equity prices falling and portfolio flows reversing. If they last more than a few weeks, capital outflows or lower inflows will correspond to a tightening in domestic financing conditions for many Asian countries and, for some, could exacerbate difficulties in meeting their current account and external debt payment obligations. Moody’s points out that – with a few exceptions – direct vulnerability to capital outflows is limited in APAC. In most of the region, foreign exchange reserves generally provide coverage for external debt repayments, current account deficits are narrow and government liquidity positions are robust. The few countries in the region that currently face external liquidity challenges include Mongolia (Caa1 stable) and Pakistan (B3 stable) and, to a lesser extent, the Maldives (B2 stable), Papua New Guinea (B2 stable) and Sri Lanka (B1 negative). Nonetheless, while the direct impact of tighter global financial conditions may be limited, sustained capital outflows or markedly lower inflows pose indirect challenges for economies with already high leverage, particularly if domestic authorities are constrained in their ability to use fiscal and monetary tools to offset the tightening impact of global financial conditions. For China, scope to offset a tightening in financing conditions related to capital outflows is still ample, although sustained outflows would erode it. Moody’s points out that increased scrutiny by the Chinese authorities over fixed asset and financial investment abroad, indicates their concerns about sustained outflows. Moody’s analysis is contained in its just-released report titled “Sovereigns — Asia Pacific: High Leverage, Untested Policy Space Expose Sovereigns to Tighter Global Financing Conditions”.